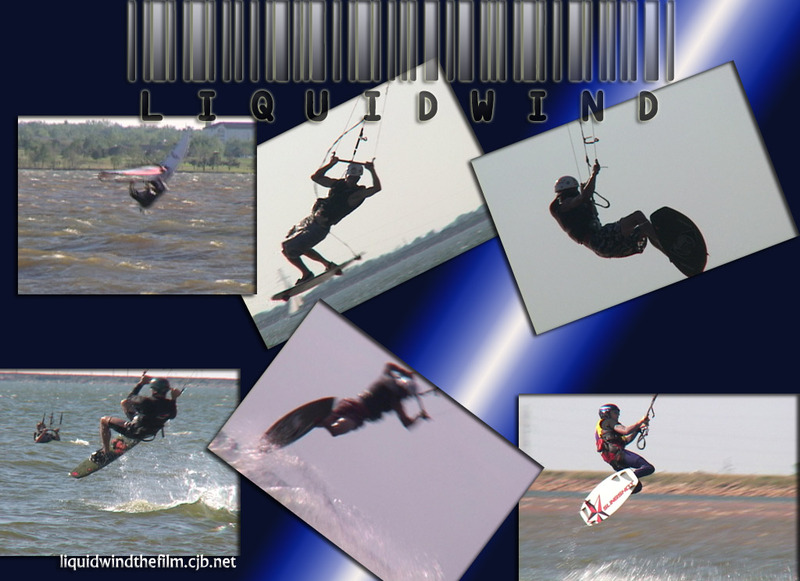 Liquid Wind, is an intense look at the kiteboarding and windsurfing phenomenon on Lake Hefner in Oklahoma City, Oklahoma. Includes musical contributions from Oklahoma artists Grey, Jon Carrube, Chris Stephens, Brad Davis, Mary Catherine Reynolds, and Louise Goldberg. 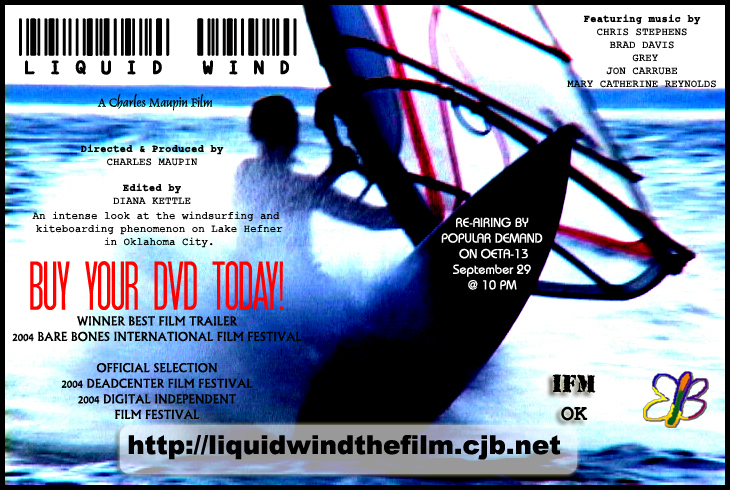 Includes interviews with top Oklahoma windsurfers and kiteboarders, weather experts, and those responsible for bringing this extreme water sport to Lake Hefner. Produced by the Independent Filmmakers of Oklahoma and Screaming Butterfly Productions from 03/03 to 10/03 in Oklahoma City, OK. on Lake Hefner. 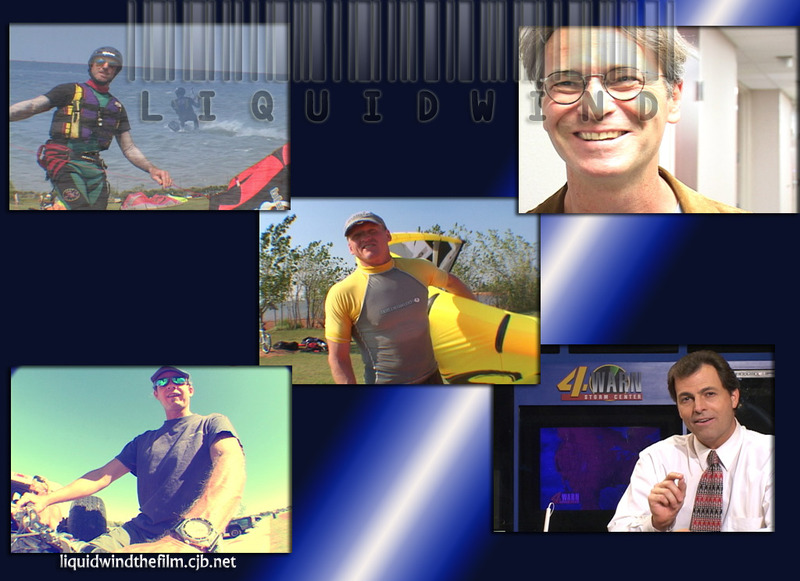 Among the windsurfers and kiteboarders featured are Jeff Shelley, Daniel Nicholson, Bryan Dobry, Nick Tubre, Kevin McCaleb, and Jeff McClung. Co-Founder of the Central Oklahoma Boardsailing Association, Bruce Robertson, assists City Manager, Jim Couch, in explaining how windsurfing and kiteboarding began at Lake Hefner. German Director Michael Knof makes a cameo appearance when his son, Lewis Lindenberg, is injured in a kiteboarding accident. Lindenberg explains how he crashed into the rocks surrounding Lake Hefner, sustaining injuries to his hip, knees, and pelvis. 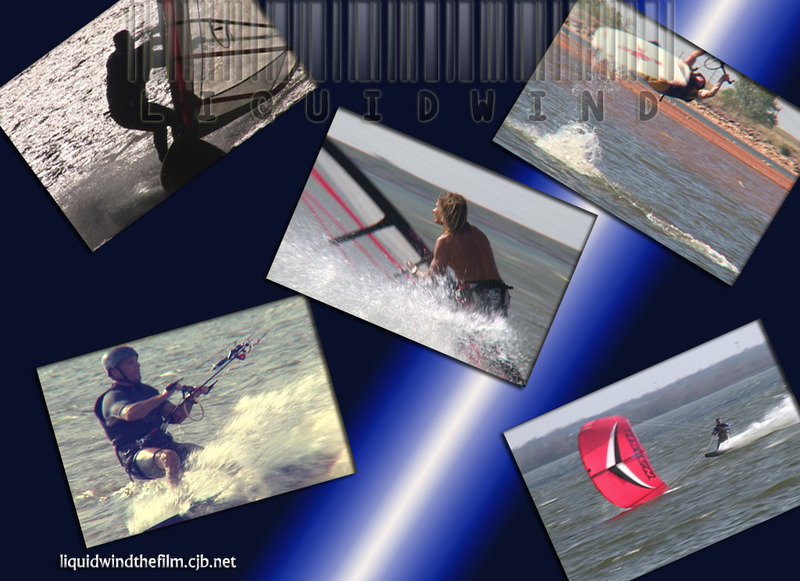 KFOR Meteorologist Mike Morgan explains the geographical and meteorological conditions that must exist for great windsurfing on Lake Hefner. 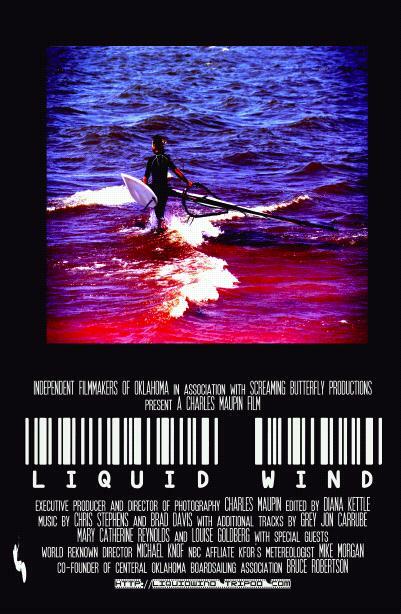 Liquid Wind is the work of Producer Charles Maupin of the Independent Filmmakers of Oklahoma. On this project, Maupin doubles as both Producer and Director of Photography. James Murati served as Still Photographer and Technical Consultant for the project. Maggie Abel provided the CG titling, and assisted Maupin as Camera Operator. The project was edited at Screaming Butterfly Productions by, OU FVS Junior, Diana Kettle. Kettle, working with Timothy Lang, previously was awarded Best Music Video at the Bare Bones International Film Festival. Kettle was recently named Pegasys Producer of the Year for 2003, and previously was Editor of the Year for 2002. All the music featured in Liquid Wind is the work of Oklahoma's local musicians. Jon Carrube's "Long Day" was recorded specifically for the documentary at Champagne Studios, and is featured for one of two music videos in the documentary. 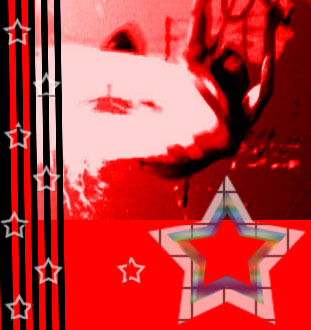 The techno stylings of Chris Stephens and Brad Davis have 9 songs featured in Liquid Wind which are heard throughout the Grey's track "Joyous Occasion", a psychedelic favorite on mp3.com, is the featured song of the second music video piece. Mary Catherine Reynolds and Louise Goldberg contribute the track, "Mourning Dove" featured in a section focusing on the family and female windsurfers. 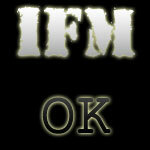 Independent Filmmakers of Oklahoma - Founded by Charles Maupin and Maggie Abel, IFMOK is dedicated to helping indie filmmakers in Oklahoma. Screaming Butterfly Productions - Production company headed by the award winning team Timothy Lang and Diana Kettle. 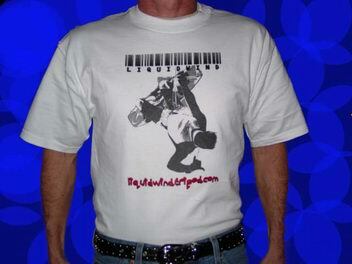 Bare Bones International Film Festivals - The World's Friendliest Film Festival held right here in Oklahoma. KFOR-TV - Meteorologist Mike Morgan explains geographical and meteorological conditions at Lake Hefner in Liquid Wind. Michael Knof - IMDB listing for Michael Knof, famous German film director who cameos in Liquid Wind. Grey - Rock and pop artist Grey, contributes his psychedelic track "Joyous Occasion" to the documentary. Jon Carrube - Jon Carrube contributes his track "Long Day." Champagne Studios - Headed by Jerry Patterson, "Long Day" was recorded here specifically for Liquid Wind. Thanks, Jerry. Enid News & Eagle - Giving us some much needed press. Thank you editor Cindy Allen! University of Oklahoma - Our theatre premiere (January 29th, 2004) at Meacham Auditorium in the Union, thanks to Andy Horton of the Film and Video Studies Program. Thanks also to the OU Daily for some much needed press, and TV4OU/The Wire for broadcasting the film and "Long Day". OETA - Our Oklahoma television premiere was on OETA in February 2004 and rebroadcast the film in June and September.